Unfortunately, sometimes it happens that in a family someone from close relatives for one reason or another is forced to move in a wheelchair or it happens, on the contrary, a joyful event - the addition of offspring, and young mothers, of course, required to take out your child for a walk. This wheelchair or children's wheelchair, in any case, a problem arises - these are steps that create difficulties not only in the entrance of an apartment building, but also on the stepped porch of your own house or store. In this article we will pay attention to how to make a ramp with your own hands in the stairwell. What is a ramp? This is an inclined platform, but we will consider exactly the one that connects two horizontal planes to each other. To build such a site is relatively easy. But to make it so safe and easy for a wheelchair user or a young mother with a baby carriage to climb and descend along this structure can be really difficult. Consider the device ramps and their installation. Usually the simplest design Ramps are two metal channels arranged parallel to each other. If this is a high-rise entrance, it would be best to make the ramp universal and, importantly, folding - then it will not hurt anyone and all tenants of an apartment building will be able to use it out of necessity, and not only wheelchair users . 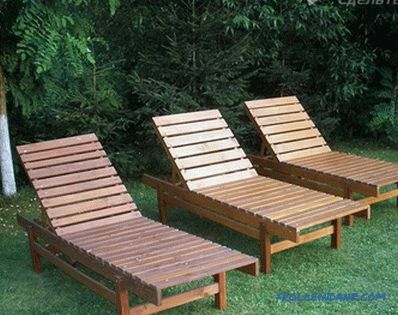 To do this, the design should consist of two channels with a width of 200 mm. In addition, for good adhesion, the surface of the channels should be necessarily corrugated or covered with special anti-skid pads. All this is necessary for reasons of safety and practicality of the ramp itself. So, our task is to make a stationary or versatile, relatively easy access ramp at the entrance. Channel Rail Length may not necessarily correspond to the size of the flight of stairs. If there is enough space in the stairwell, then you can play a little at a tilt angle. 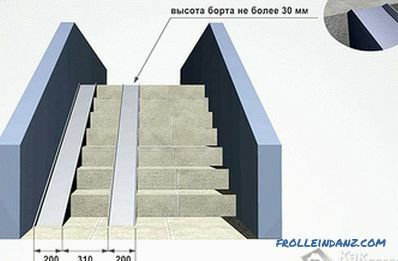 The fact is that the longer the rails are, the smaller the angle will be relative to the horizontal surface, thanks to which the inclination of the whole structure of the ramp will be more gentle, which, in turn, will enable the disabled person on a wheelchair to independently overcome this slope in one way or another. direction. 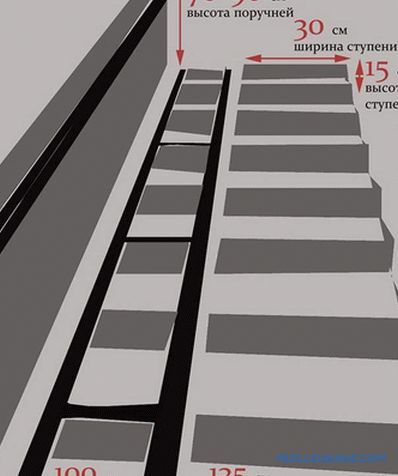 As for the staircase staircase, it does not have the desired angle of inclination, so if, due to lack of space at the entrance platform, we will have to make a channel along the length of the march, then the slope of the ramp will be steep enough, and the person he will be able to use the wheelchair only if there is an accompanying person with him. Let's discuss just this case. We drill holes in channel for loops, which are pre-purchased in the hardware store. 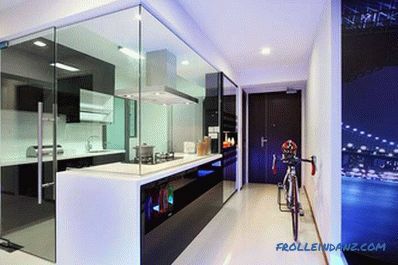 For this design uses powerful door hinges. Install the hinges at the bottom of the channel using bolts with hidden caps. On the other hand, we attach extension plates to the railing design. They should be of such length that the ramp could be leaned against the railing itself. Install the extension plates to the vertical uprights of the railing with bolts. It should be said that the rectangular recesses in the plates should be slightly wider than the metal section of the vertical elements in the design of the railing so that the plate itself can be firmly fixed. We measure the distance between the rails of the channels in such a way that it coincides not only with the width of the wheelchair, but also suits the pram and even the trolley bag. With the help of bolts with hidden caps, we connect the metal struts to the bottom of the channel between them - with a corner or steel strips 3-5 mm thick and about 40 mm wide. It should be noted that there should not be a lot of spacers (maximum 3 jumpers), and they should fit snugly against the surface of the steps so as not to create difficulties for the one who will support the wheelchair from behind. Install fasteners. To the ramp ramp at the end of the channel furthest from the railing, we fasten the usual doorknob. 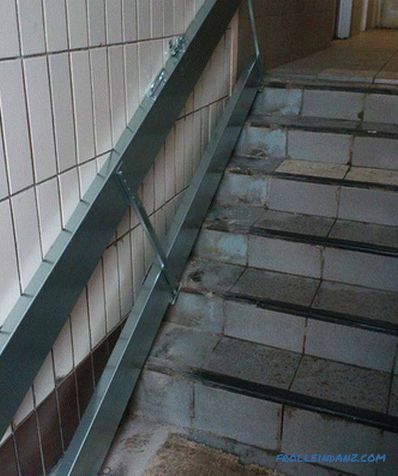 It will simultaneously play the role of handles and hinges, through which it will be possible to fasten the ramp to the railing using a chain with a lock or an ordinary metal hook, if the railing design allows. It will be just great if the ramp is collapsible and made of light metal alloys, such as aluminum. It will be rather easy and convenient in operation. However, there are some points that especially need to pay attention. First, this material is very expensive.Secondly, non-ferrous metal hunters will not pass by such a ramp. In other words, they will simply carry it away. 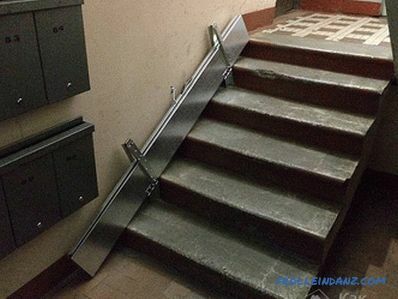 You can use the channel or make stainless or galvanized steel, but in this case, the ramp will be difficult and not everyone will be able to raise it. 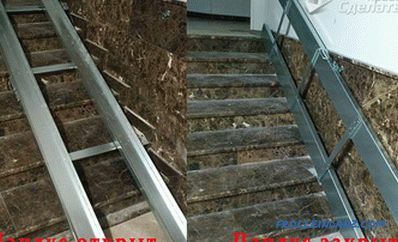 If you decide to build a folding wooden ramp, then we can say that there are no serious constructive differences from the metal ramp. The only difference is that the manufacture of this design will require more time and effort. Why? 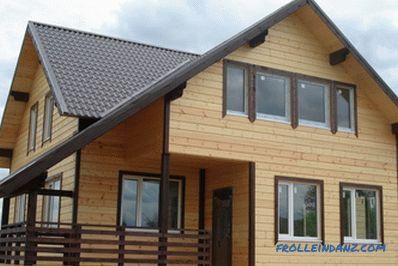 It is not enough to find suitable wooden boards that could withstand a large load. 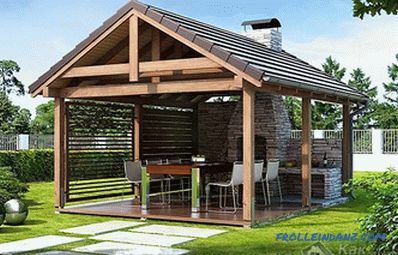 First, the tree should be well planed and it should be carefully polished, and the bottom one should preferably be coated with the non-working surface of the boards. 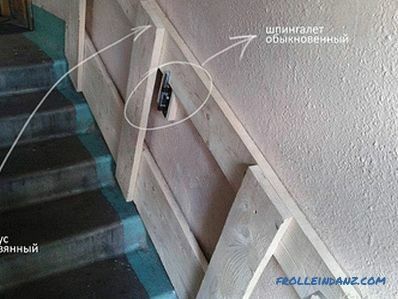 In this case, a wooden ramp will last a long time. Secondly, for safety purposes, it will be necessary to fill the inner and outer sides of the rails along the entire length of the ramp, so wide that the wheels of both wheelchair and pram can be freely placed on the working surface. The installation of the ramp should be carried out in such a way that the entire structure is located at least 50 mm from the wall or railing. This will negate any contact with vertical surfaces and, therefore, avoid inconvenience during descent and ascent. As you can see, installing a ramp of this design is not difficult. The main thing is to use it conveniently and easily, as well as safely. 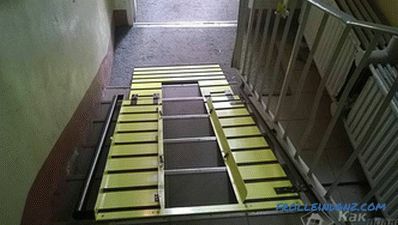 Try to follow all these recommendations when making a folding ramp at the entrance of an apartment high-rise building, and then you will create more comfortable living conditions in your house not only for people with disabilities, but also for yourself.